The body of a Ku Klux Klan Imperial Wizard was found lifeless on the bank of a Missouri river on Saturday, February 11. Frank Ancona, 51, of Leadwood, MO. had been missing for four days leading up to the discovery. 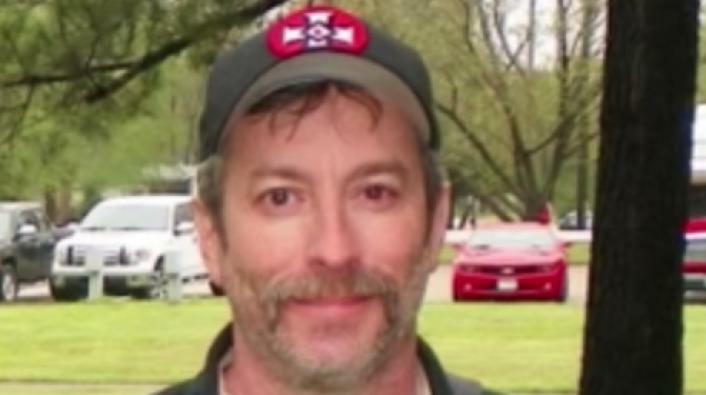 The body of Frank Ancona, 51, Imperial Wizard of the Traditional American Knights of Ku Klux Klan, was discovered Saturday on the bank of Big River outside of Belgrade, Mo., four days after he went missing from his Leadwood, Mo., home. The last time anyone had seen Ancona was on Wednesday, when Ancona's wife said he received a call from work informing him he would have to travel across the state to carry out a task. His vehicle was found on a Federal Forestry service road on Friday night, and was taped off until morning, when authorities from the sheriff's office searched the area. Ancona's carcass was discovered by a family while enjoying a fishing trip. An investigation into his death is ongoing. What authorities do know is that Ancona didn't immediately report him missing because he left the home with some clothes after an argument that sparked when she asked him for a divorce. It appears as though Ancona also took a heap of firearms that he had, as the safe he kept them in does appear to have been forced open but police do not suspect burglary. Police are not aware of the location of the weapons at this present time. Ancona is known for being one of the KKK leaders to mobilize members to counter protesters of the Michael Brown killing in 2014. The divisive nature of the event is cited by many as having been used as a recruitment tool by Ancona and other white supremacist groups.